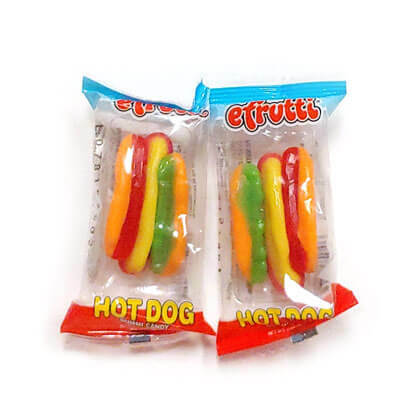 Yummy gummi hot dogs topped with gummi ketchup mustard and relish! 10 count. Hotdog is almost 2 inches long.